Paper mache is a composite material involving paper pieces or pulp and originates from China. The Chinese would make helmets toughened with layers of lacquer while the Americans made paper boats. Today, paper mache is a fun craft that's appropriate for all ages and is even included in strategy video games like The Escapists. 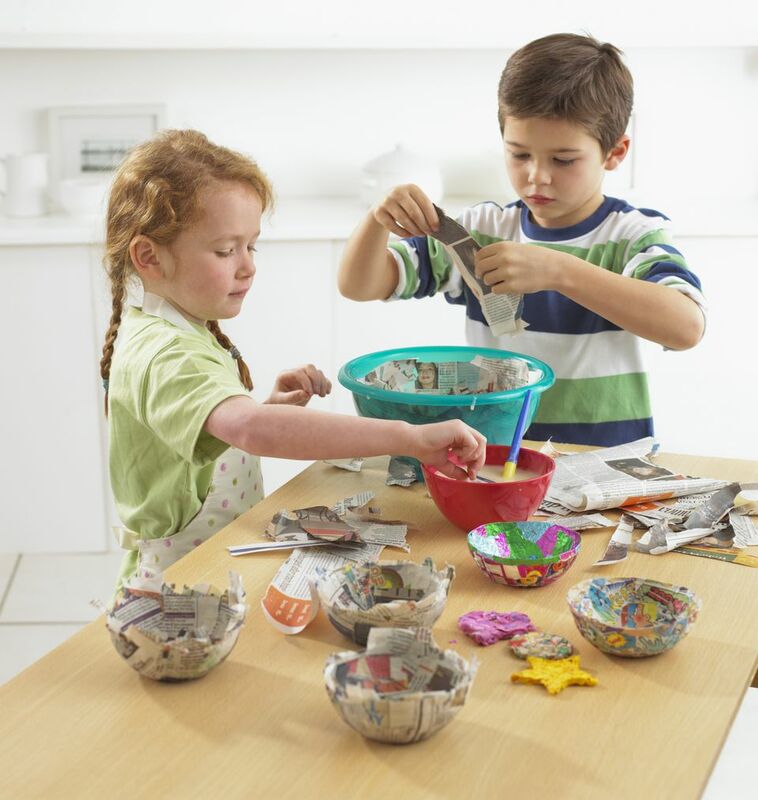 One of the best things about paper mache is that you probably have everything you need to create the masterpieces lying around your home right now, both in the recycling bin and the kitchen cupboards. You can create pretty much anything using paper mache techniques, whether that's masks, dolls, or abstract art objects. It's easy to paper mache. Simply start out by making a base for your project, whip up a batch of glue, and get ready to start crafting. For your paper mache project, make a base form using flour, water, and recyclable items found around your house. You can also use supplies as simple as cardboard and masking tape to design almost anything. For rounder or hollow shapes, try using those old balloons that are stashed away from the last birthday party. Other items that are useful for forming a base include chicken wire, newspaper, shoe boxes, and paper towel rolls. Whether you're searching for a no-cook paste recipe, a strong and smooth mixture, or going above and beyond with resin, there's a paper mache recipe for everyone. When it comes to paste and pulp, you can experiment and have fun with several different styles. Most likely, you'll discover that different recipes are better for different projects. For example, if you're making smaller items or need to sculpt, try replacing glue with newspaper, dryer lint, or egg carton pulp. People of all ages can enjoy paper mache, and thankfully, the steps you need to follow to create amazing projects are fairly simple. Items of all shapes and sizes can be made using this crafting method, and no special supplies are needed from any fancy craft store. To get started, make sure you have four simple items: a paper mache form, paste, newspaper, and paint. In a dozen steps and a few tips from the experts, you'll have a new item to show off in no time. The great thing about paper mache is that almost anything can be created with it. You can make your own jewelry, vases, bowls, masks, pinatas, or even furniture. Your imagination is the only limit to what you can craft. Beginners needing easy projects can make a clay mask or tiny seasonal objects like a pumpkin or tree. Advanced paper mache enthusiasts can try making a huge character mask from their favorite movies, like Star Wars or Disney. Alternatively, they can try creating a wall ornament to fit the theme of their home, whether a whale for ocean lovers or a bear for laid back country dwellers. While paper mache is an easy craft, there are still ways to improve. For example, the most obvious one might be that paper mache can get super messy. Keep everything tidy by covering your work surface or just doing it outside completely when the weather is nice. Make your next project more successful with a heads up from the experts.